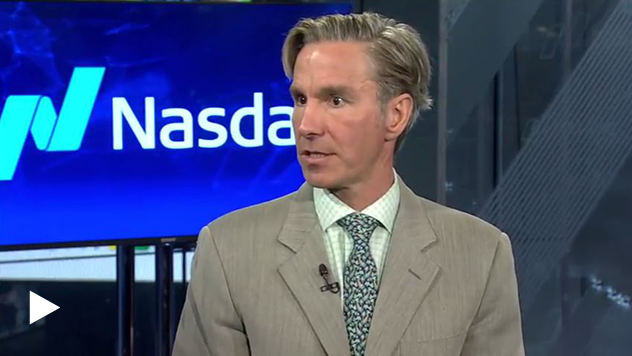 David Nadel on Nasdaq TradeTalks: Why International Small-Caps? Portfolio Manager David Nadel makes the case for international small-caps on Nasdaq TradeTalks. By clicking the above link, you'll leave this site and go to a third-party website. Royce does not endorse and accepts no responsibility for content on third-party sites. On October 2, 2017, Portfolio Manager David Nadel was a guest on Nasdaq's TradeTalks, joining Jill Malandrino to discuss what he sees as attractive opportunities in international small-caps. He also detailed his ‘quality-at-a-reasonable price’ strategy, saying "We tend to focus on 50 companies in the strategy, so in the international small-cap asset class we’re among the most concentrated of the various firms out there. We’re still, however, producing low volatility so that reflects the types of companies that we invest in–very predictable cash flow businesses. We want very high quality businesses." He also remarked on the importance of active management in a concentrated portfolio, adding, "It’s a huge universe of these companies out there and I think it takes an active manager to find the really good businesses." David also shared where he is finding opportunities and highlighted the specific regions on which he’s more bullish: "We really like the developed markets because we’re getting very long operating histories and great corporate governance… these companies are selling globally. They’re getting a lot of revenue from emerging markets but we’re getting world class businesses." Watch the full Nasdaq TradeTalks interview here. Frank Russell Company (“Russell”) is the source and owner of the trademarks, service marks and copyrights related to the Russell Indexes. Russell® is a trademark of Frank Russell Company. Neither Russell nor its licensors accept any liability for any errors or omissions in the Russell Indexes and / or Russell ratings or underlying data and no party may rely on any Russell Indexes and / or Russell ratings and / or underlying data contained in this communication. No further distribution of Russell Data is permitted without Russell’s express written consent. Russell does not promote, sponsor or endorse the content of this communication. The Russell Global ex-U.S. Small Cap Index is an unmanaged, capitalization-weighted index of global small-cap stocks, excluding the United States. The Russell Global ex-U.S. Large Cap Index is an index of global large-cap stocks, excluding the United States. The performance of an index does not represent exactly any particular investment, as you cannot invest directly in an index. The thoughts and opinions expressed in this piece are solely those of the person speaking and may differ from those of other Royce investment professionals, or the firm as a whole. There can be no assurance with regard to future market movements. There can be no assurance that a company that currently pays a dividend will continue to do so in the future.